Vancouver City Hall has certainly caught on to the fact that there’s plenty of room to grow in British Columbia’s biggest city. 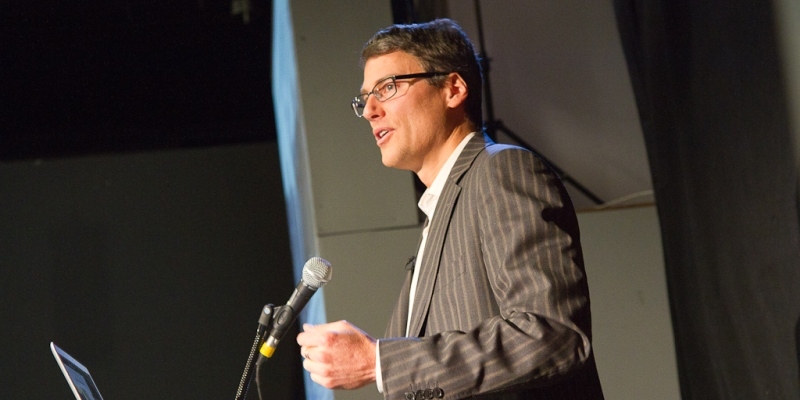 This week, at the city’s last council meeting before October’s municipal election, outgoing Mayor Gregor Robertson (pictured above), along with six out of 10 city councillors voted in favour of a key tenet of council’s Making Room Housing Program—rezoning the majority of the city’s low-density neighbourhoods to allow duplexes. This is an important step towards a more affordable Vancouver, but plenty more needs to be done if the next mayor and council want to help renters and would-be buyers. The particulars of yesterday’s vote include “upzoning” most of the city’s low-density areas. Specifically, this means allowing the owners of 67,000 lots (representing more than half the city’s landmass) currently zoned for single-family housing to rebuild their homes as duplexes, should they choose to. It also allows these new homes to include secondary suites or lock-off units (which can be divided in sections) for renters. This is an important step, considering the region-wide housing shortage that continues to contribute to rising prices and virtually non-existent rental vacancies. For example, if even one quarter of these homes were converted, an additional 16,000 to 17,000 units (at the very least) would be added to the housing stock, improving housing options for renters, first-time buyers and longtime owners looking to downsize. Moreover, this move allows for more density without the need to rezone. Not needing to change a property’s zoning designation significantly shortens building timelines and improves the feasibility of adding new homes, since rezoning takes more than 10 months (on average) in the City of Vancouver, and can trigger fees. However, whether homeowners will act upon these new zoning changes remains to be seen. Vancouver took a similar step in 2009 by allowing laneway units to be built, without rezoning, on most single-family lots. Yet only 3,000 or so have actually been built since then, meaning fewer than 350 per year—a drop in the bucket. So only time will tell whether this important step bears fruit. Nevertheless, it’s encouraging to see Vancouver City Council use its last meeting of the term to unlock more room for homes in Vancouver’s least-dense neighbourhoods.